^ a b "What is sustainability". 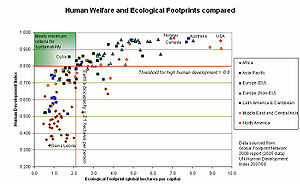 www.globalfootprints.org. Retrieved 2018-05-02. ^ "Sustainability and Sustainable Development". Circular Ecology. Retrieved 2018-07-17. 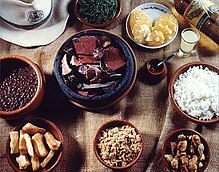 ^ United Nations General Assembly (March 20, 1987). 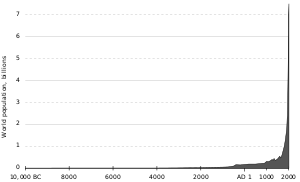 "Report of the World Commission on Environment and Development: Our Common Future; Transmitted to the General Assembly as an Annex to document A/42/427 – Development and International Co-operation: Environment; Our Common Future, Chapter 2: Towards Sustainable Development; Paragraph 1". United Nations General Assembly. Retrieved 1 March 2010. ^ James, Paul; Magee, Liam (2016). 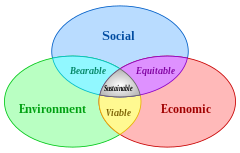 "Domains of Sustainability". In A. Farazmand. Global Encyclopedia of Public Administration, Public Policy, and Governance. Global Encyclopedia of Public Administration, Public Policy, and Governance. Springer. ^ Metropolis Action Plan 2018–2020, at www.metropolis.org James, Paul; Magee, Liam (2016). 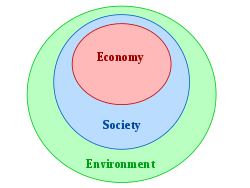 "Domains of Sustainability". In A. Farazmand. Global Encyclopedia of Public Administration, Public Policy, and Governance. Global Encyclopedia of Public Administration, Public Policy, and Governance. Springer. ^ Geissdoerfer, Martin; Savaget, Paulo; Bocken, Nancy M. P.; Hultink, Erik Jan (2017-02-01). 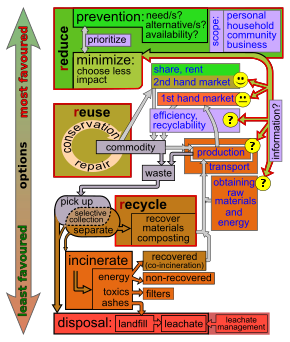 "The Circular Economy – A new sustainability paradigm?". Journal of Cleaner Production. 143: 757–768. doi:10.1016/j.jclepro.2016.12.048. 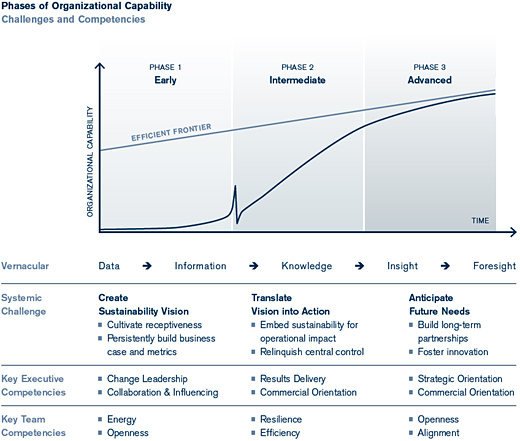 ^ "Sustainability Accounting in UK Local Government". The Association of Chartered Certified Accountants. Archived from the original on 11 April 2008. Retrieved 2008-06-18. 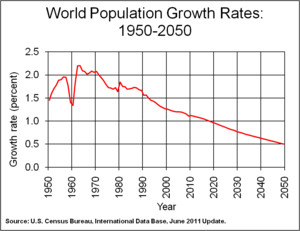 ^ "The World Population Prospects: 2015 Revision". www.un.org. 2015-01-01. Retrieved 2017-05-06. ^ McElroy, Mark (2008). Social Footprints (PDF). University of Groningen. ISBN 978-0-615-24274-3. Retrieved March 26, 2018. ^ Pearson, R.J.; Eisaman, M.D. ; et al. (2012). "Energy Storage via Carbon-Neutral Fuels Made From CO2, Water, and Renewable Energy" (PDF). Proceedings of the IEEE. 100 (2): 440–60. CiteSeerX 10.1.1.359.8746. doi:10.1109/JPROC.2011.2168369. Archived from the original (PDF) on May 8, 2013. Retrieved September 7, 2012. ^ Holte, Laura L.; Doty, Glenn N.; McCree, David L.; Doty, Judy M.; Doty, F. David (2010). Sustainable Transportation Fuels From Off-peak Wind Energy, CO2 and Water (PDF). Phoenix, Arizona: American Society of Mechanical Engineers. Retrieved September 7, 2012. ^ Morris, Bob (April 26, 2011). "Underground pumped hydro energy storage at grid scale". Polizeros.com. Retrieved 1 January 2014. ^ Heitschmidt R.K.; Vermeire L.T. ; Grings E.E. (2004). "Is Rangeland Agriculture Sustainable?". Journal of Animal Science. 82 (E–Suppl): E138–146. doi:10.2527/2004.8213_supplE138x (inactive 2019-01-22). 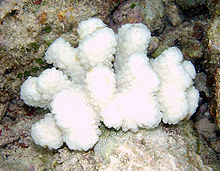 PMID 15471792. Retrieved on: 2009-03-18. ^ Black, Richard (21 September 2009). 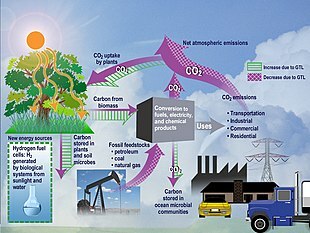 "Recession and policies cut carbon". BBC. Retrieved 2009-10-13. 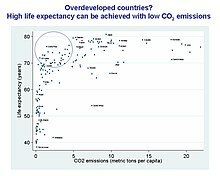 ^ "The Millennium Development Goals Report, 2009" (PDF). United Nations. Retrieved 2011-04-02. 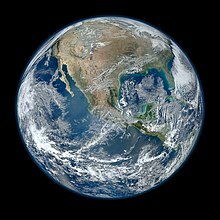 ^ "Our Common Future, From One Earth to One World". United Nations. Retrieved 2011-04-02. ^ Lusigi, Angela (May 2008). "Linking Poverty to Environmental Sustainability" (PDF). 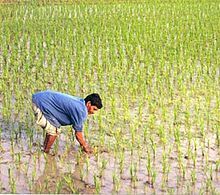 UNDP-UNEP Poverty — Environment Initiative. Retrieved 2011-04-02. 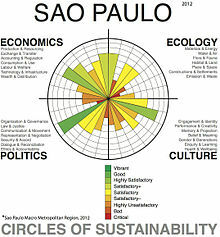 ^ "Social Sustainability – GSA Sustainable Facilities Tool". sftool.gov. Retrieved 2016-03-10. ^ "Social Sustainability Initiatives, Guidelines, and Standards – GSA Sustainable Facilities Tool". sftool.gov. Retrieved 2016-03-10. ^ "Resources for Verifying Sustainable Products – GSA Sustainable Facilities Tool". sftool.gov. Retrieved 2016-03-10. ^ Bryce, Derek; Curran, Ross; O'Gorman, Kevin; Taheri, Babak (2015-02-01). "Visitors' engagement and authenticity: Japanese heritage consumption". Tourism Management. 46: 571–581. doi:10.1016/j.tourman.2014.08.012. ^ Taheri, Babak; Farrington, Thomas; Curran, Ross; O'Gorman, Kevin (2017-04-11). "Sustainability and the authentic experience. Harnessing brand heritage – a study from Japan". 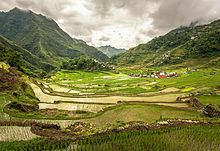 Journal of Sustainable Tourism. 0: 49–67. doi:10.1080/09669582.2017.1310867.